Ningbo Success Zhenye Lighting Electrical Appliance Co., Ltd.(NSZ) is a joint venture company in China — Malaysia, located in the Zhejiang Province Ningbo Ninghai County Chalu Town Industrial Park, adjacent Expressway export Ning Hainan, and Ningbo Beilun port distance of 80km, traffic is very convenient. The predecessor of the Department of Ningbo Ninghai County Zhenye lamp Co., Ltd., the creation in 1997, it was established joint venture and Malaysia Success Zhenye Lighting company in 2008. Company's existing staff of more than 300 people, the development and production of traditional HID and LED aluminum die-casting cast light lamps, street lamps, pendant lights, flood lights, moisture-proof lamps, tunnel lights and other outdoor products. The company established a strong R & D team, able to complete the design of the lamp, the mold, die casting, CNC finishing, surface phosphating treatment, assembly and testing of one-stop service. Company has a complete testing equipment can be the product safety testing, environmental adaptability test, with light test, life test, IP dustproof and waterproof test and ROHS environmental testing, can independently accomplish the effect of engineering design. Strict implementation of the company's ISO9001-2008 requirements, all products have achieved CE, GS, UL, DLC, CCC, CQC, EMC and other certification certificates, and has 27 patents. 2014 evaluation for engineering technology center of Ningbo City, Ningbo City, brand-name products, Ningbo City famous trademark, Ningbo city quality manufacturers and become Ningbo City outdoor lighting industry leader. 2015 was named Zhejiang famous brand, Zhejiang famous brand products. Since 2012, the company implemented the transformation and upgrading scheme, transition from traditional HID in the field of LED, in Malaysian public listed corporation's strong support and our independent R&D team 5 years of continuous research and development, testing, improving, now at home and abroad to promote the nsz brand outdoor LED lights, in appearance and structure, performance is superior to similar products, customers receive the favor. Quality, go poor dissimilation to manage road, make good pre-sales after-sales services to each customer, coupled with accurate market positioning and product irreplaceable nature, have been in the industry has a good reputation, became the vane of the same industry. Our products are mainly exported to Europe, the Middle East, East Asia, Southeast Asia, North America, South America, Hongkong and Macao and other places. 1. Success Zhenye electrical lighting (Zhongshan) Co., Ltd.
2. Success Zhenye Lighting Electrical Appliance Co., Ltd..
3.Success Zhenye lighting electrical appliance (Beijing) Co., Ltd.
4. Success Zhenye lighting electrical appliance (Shanghai) Co., Ltd.
7. Success Zhenye lighting electrical appliance (Harbin) Co., Ltd..
9. Success Zhenye lighting electrical appliance (Hangzhou) Co., Ltd..
10. Success Zhenye electrical lighting (Xi'an) Co., Ltd.. 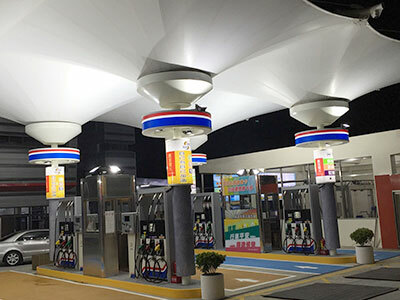 LED NSZ series lighting products have been in the major cities in the country's bridges, roads, subways, airports, universities, factories, warehouses, stadiums and other large establishments to be applied, by the user's praise. The company spirit of "people-oriented, based on management, brand success, leap dream" the quality policy, "to the customer as the center, let the customer tempted, worry, rest assured, comfort and ease" work attitude, to provide quality products and professional service for customers at home and abroad. Quality determines the future, NSZ in the spirit of "doing industry pioneer, creating a world brand" enterprising spirit will become the field of domestic and foreign outdoor lighting a shining star.